It is with profound sadness that we note the recent death of Dr. Wilbert Keon, an iconic surgical scientist and institution builder. Dr. Keon had an enormous impact during his stellar career as an academic leader, surgical innovator and friend of clinician-scientists in Canada and beyond. Dr. Keon was a major contributor in the creation and promotion of major institutions in the health sciences in Canada. In our own domain, he was instrumental over the years in the launch of Alumni and Friends of MRC, the predecessor organization of Friends of CIHR. He was also supportive in a facilitative way in the creation of the Canadian Institute of Academic Medicine (CIAM), the predecessor organization of the Canadian Academy of Health Sciences (CAHS). I have fond personal memories of our days on the Board of Directors of the Ontario Heart Foundation, the predecessor organization of Heart and Stroke Foundation of Ontario. His focus was always on innovation in research based on the highest standards, irrespective of discipline. He was generous of his time, particularly to young trainees, and always encouraging. His contributions were immense and legendary. Our deepest sympathies to his family and to his colleagues and grateful patients. It is with great sadness that I share the news and note the sudden and untimely death of Dr. Michael Bliss, who passed away on May 18, 2017. This is a great loss to his family and to the wider community of U of T, Massey College and to historians worldwide. He was a dear friend of many decades and a major contributor to FCIHR, as the Founding Interviewer for the Video History of Medicine in Canada initiative, having completed 12 in-depth videorecordings of iconic Canadian leaders in Science and Education. He was a renowned Medical Historian and public intellectual, who took up many causes and inspired legions of students, as a brilliant lecturer. He will be missed, but his influence will be ever present as an articulate chronicler of our heritage. We look forward to a memorial service where his memory and achievements will be immortalized. It is with shock and sorrow to note the untimely death of Dr. Mark Wainberg, a brilliant scientist and public advocate for HIV research and afflicted patients. Mark was a Founding member of FCIHR, as well as its predecessor organization Alumni and Friends of MRC in 1995. Mark was always interested in promoting Science, as a national priority, recruiting young people in the academic stream and was an exemplar in maintaining an active research enterprise at McGill University. He will be missed by his colleagues, his patients and his global network of collaborators. Deep felt condolences to his family and colleagues. It is with sadness that I draw your attention to the recent passing (July 2, 2015) of a Charter member of Friends of CIHR, who has contributed enormously as a pediatric clinician-scientist and pioneer of pediatric gastroenterology. He was a former director of pediatric gastroenterology at Ste-Justine Hospital and director of the research centre there. He also served as Chair of Pediatrics at the Universite de Montreal. As a former VP of MRC, he was instrumental in supporting the recovery following program review and facilitating the runup to the creation of CIHR and a strong advocate, on behalf of young trainees. He was inducted to the Canadian Medical Hall of Fame. He was appointed Officer of the Order of Canada and Officer of l’Ordre national du Québec. As noted by his accolyte, Dr. Sylvain Chemtob, “we have lost a great mind, scientist, mentor, clinician-professor and a superbly generous human being”. We mourn his passing. It is with sadness that we note the passing of our dear friend and colleague, Dr. John (Jack) Laidlaw, last Saturday, June 6th, 2015, in his 94th year. Jack was a founding member of Friends of CIHR and its predecessor organization, Alumni and Friends of MRC. He was an active member of our association to his final days and will be remembered for his advocacy of science, humanistic patient care and support of young clinician-scientist trainees. Our thoughts are with Annie, his wife, and family. I sadly note the tragic death last night March 4th, 2015 of Dr. Cy Frank, President & CEO, Alberta Innovates – Health Solutions (AIHS). Cy was an exceptional Surgical Scientist, Institutional Leader and visionary in Health Management. Among his many activities, he was an inaugural Scientific Director for CIHR, and he was an active Board Member of Friends of CIHR since January 2011. His wisdom and guidance was invaluable and he will be remembered for sponsoring and facilitating the Western Canadian expansion of the Henry G. Friesen Prize Institutional visits. Plain-spoken and humble, Cy was an astute organizer, dedicated clinician and concerned advocate for best care at the community level. His death is a great loss to academic medicine, to health care management and translational initiatives in the community. Friends of CIHR will honour his memory in a suitable way at a later date. Our most profound condolences to his family. Friends of CIHR extends condolences to his family. We note the passing of one of our inaugural members, who joined at the very beginning of our association. A loyal and supportive contributor to FCIHR and its predecessor organization, Alumni & Friends of MRC. Don was generous of his time, supportive of young scientists and facilitated the development of advanced research initiatives, both nationally in Ottawa and most recently, in Toronto, where he played a major role in establishing research institutes at the Toronto General Hospital and UHN. A Gathering for friends, family and colleagues will be held at Noon on Saturday, January 19th at the new St James Cathedral Centre at 65 Church Street (Building north of the actual Cathedral). The three speakers will be Dr. Michael Baker , Dr. Ron Hobkirk (Emeritus Western) and his eldest son, Dr. Graham Layne (Memorial U.). All those who knew Don are welcome. Click here to watch video clip interviews of Dr. Fraser Mustard, as part of the FCIHR Video History of Medicine in Canada Project. It is with great sadness that we note the passing of Dr. Jacques de Champlain, one of our founding members. Jacques was a strong advocate of health research and contributed enormously to our public efforts to increase awareness on the importance of health research to society as a whole. 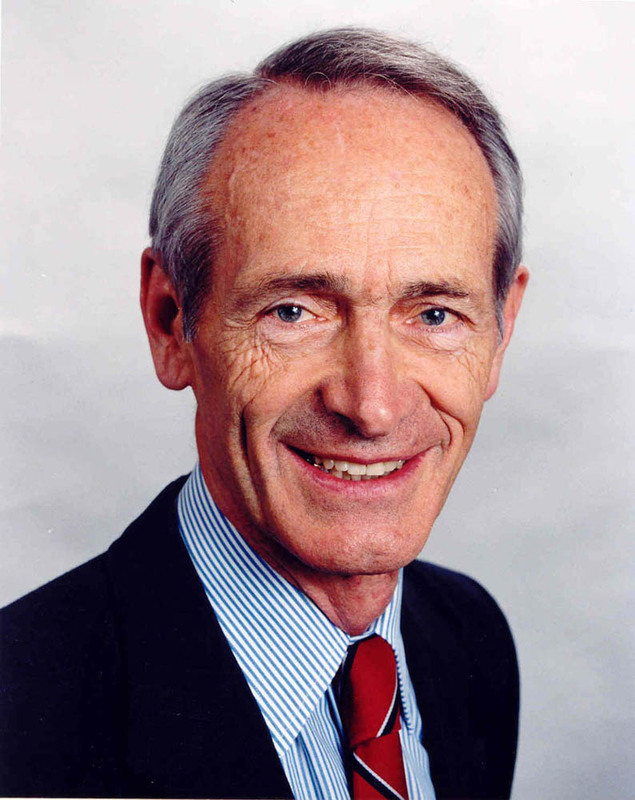 Jacques was also a founding member of the Alumni and Friends of MRC and the Canadian Institute of Academic Medicine (predecessor organizations to FCIHR and CAHS) when these organizations were first created to increase awareness of the need to support health research when funding and public interest were very limited. We extend our sympathies to his family and friends. The link below provides details about his brilliant academic career.